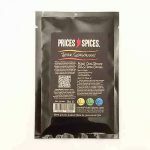 Taco Seasoning – Gives Your Meat Heat! 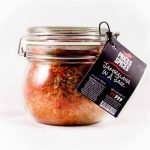 All of the aromas of real authentic Mexican food in the perfect blend ready to tantalise your taste buds. Whether you choose to make a minced beef, steak, fish or prawn Taco, then this taco spice mix will pep it right up.! 100% Natural ingredients so there’s no surprises and no nasties. Enjoy all these flavours that shout out Mexican food at its finest. 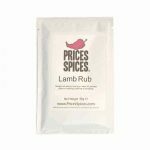 The original design of this seasoning mix was to better the gubbins you get from the bigger brands, we like theirs and don’t think they’re not good; They’re simply lacking on some of the finer ingredients to save cost. 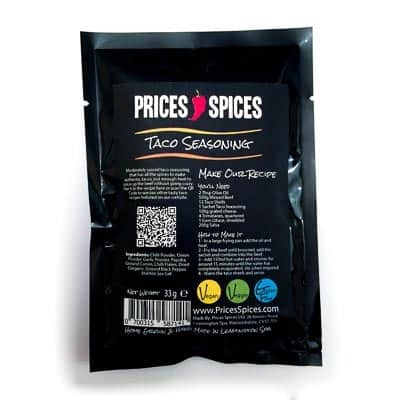 At the price we see these for we’re not making much money at all, we want to show you what real taco can taste like! If you get the chance to go over the pond and visit Mexico or southern areas of America you’ll find there’s not just minced beef and crispy corn tortillas either. 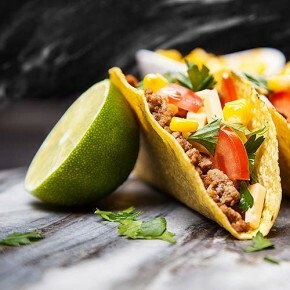 You’ll find a whopping array of Taco delight and we are sure you’ll find a use with any filling, be it meat, fish or vegetables. Once you’ve found a great use that’s a little different from the norm please share it with the rest of us! Untraditional Mexican food, but the earliest known taco to the UK public! 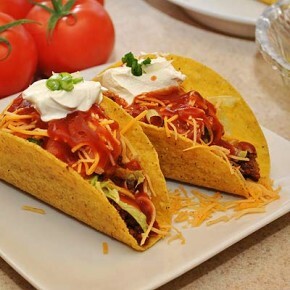 This simple to make yet very tasty crispy taco is a must try. 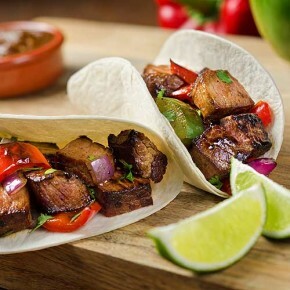 Mexican Tacos with a novel twist, instead of using beef we have opted for pork and thrown a few beans in for a healthy measure too. 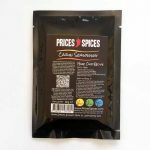 Chilli Powder, Onion Powder, Garlic Powder, Paprika, Ground Cumin, Chilli Flakes, Dried Oregano, Ground Black Pepper, Maldon Sea Salt.